Diplomatic series since 2009. 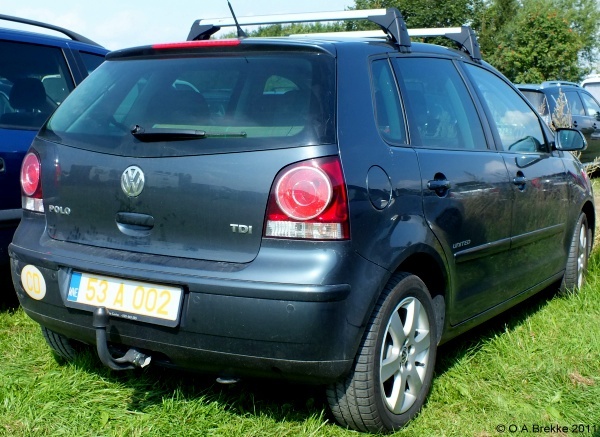 53 = Country code, probably Norway. A = Diplomatic Corps. 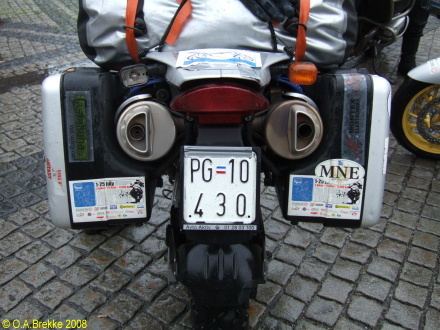 Motorcycle series 1961-2008. PG = Podgorica. 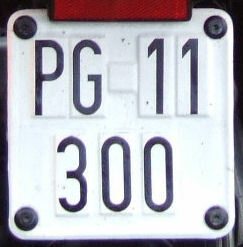 1998-2008 plate style, embossed. Motorcycle series 1961-2008. 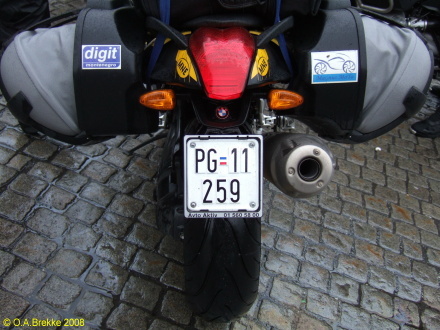 PG = Podgorica. 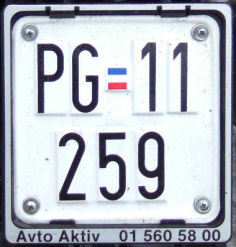 1998-2008 plate style, not embossed. 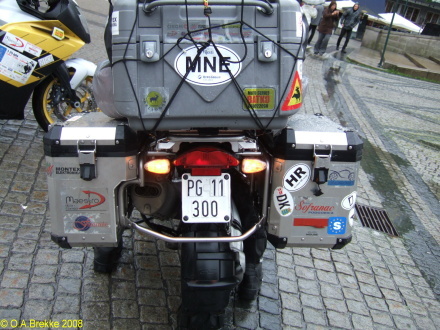 Motorcycle series 1961-2008. 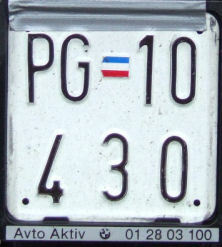 PG = Podgorica. Not embossed and without flag.